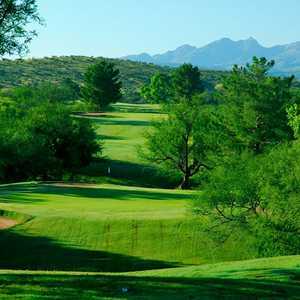 Kino Springs Golf Course sits along the Santa Cruz River, sprawling across gently rolling hills dappled with mesquite and oak trees. The course is part of the historic Yerba Buena Ranch. The scenic location is popular among avid birdwatchers, who know it as a major flyway where you'll be able to spot flycatchers, orioles, kingfishers, grey hawks and more.